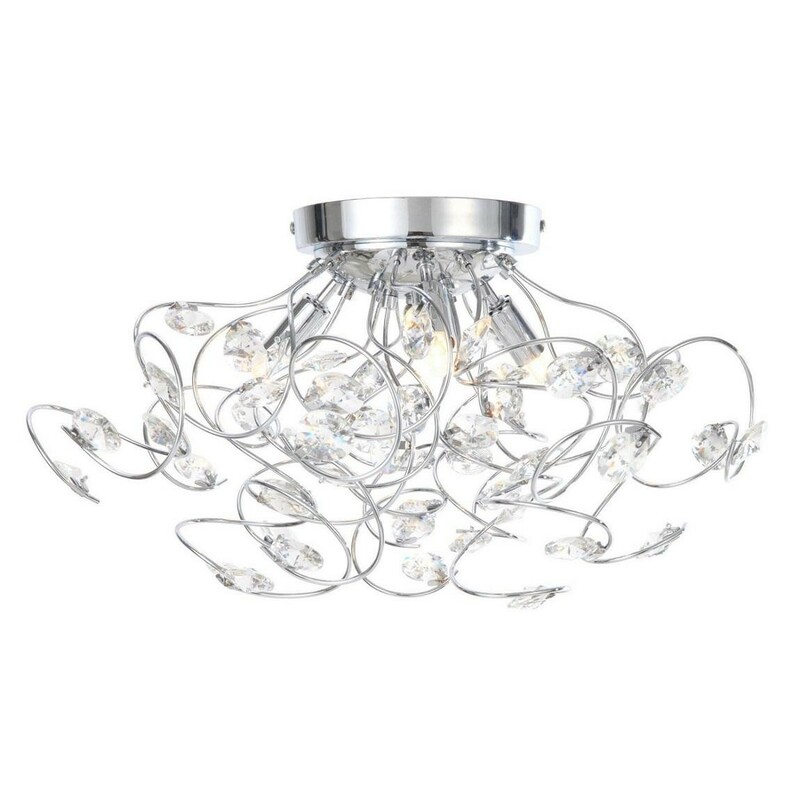 Add a contemporary touch to the home with this stylish ceiling light. Ideal for rooms with low ceilings, this ornate piece is designed with a polished chrome frame and features clear glass crystals for an added hint of sparkle. It is suitable for use with dimmer switches and requires 3 x 28W G9 halogen bulbs.